October 25, 2016 By Elizabeth Lindemann 1 Comment / This post may contain affiliate links. I was so excited when Lisa Leake sent me a sneak preview of her new cookbook in exchange for a recipe and cookbook review post. 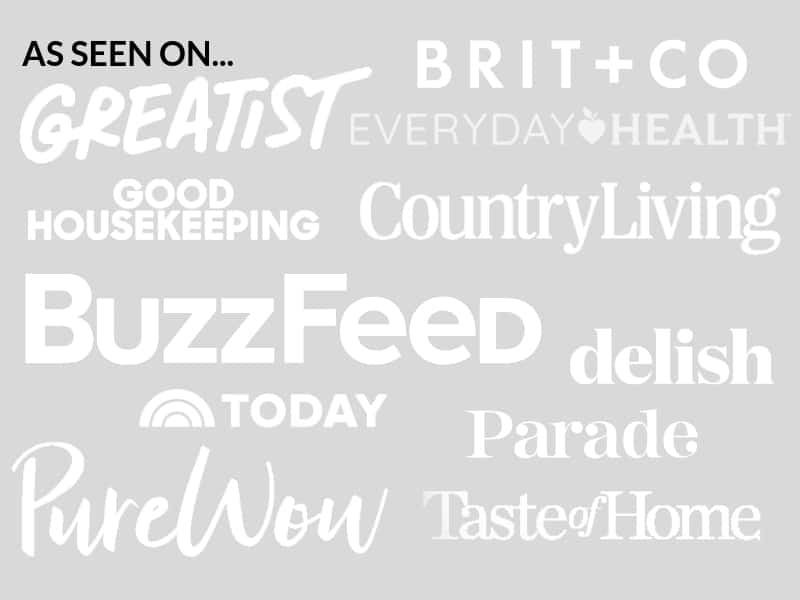 100 Days of Real Food is the blog that started it all for me. It chronicles Lisa and her family’s mission to eat only “real” food for (you guessed it) 100 days, and has developed into one of the most popular, reliable, and informational real food resources ever. I stumbled upon it during my extremely stressful first couple of years of teaching, and slowly started integrating some of her advice into my diet. I found that when I took the time to eat more whole foods, read ingredient labels more carefully, and take the time to really think about where my food was coming from, I ate healthier, felt far better and was less stressed. It was the inspiration not only for me to change my own diet for the better, but to start my own blog about real food for busy people. The cookbook, 100 Days of Real Food: Fast and Fabulous, is packed full of healthy, fast, and easy recipes made from whole, unprocessed ingredients. I personally cannot wait to try the Quick Cauliflower Soup, the Honeydew Green Smoothie, and the Easy Baked Falafel. The book is so much more than recipes- it includes four seasonal meal plans with recipes from the book as well as a shopping list, as well as tons of valuable information about which real food items are best and what to look for when buying oils, sweeteners, nuts, grains, etc. And if you have kids who take their lunch to school (or if you pack lunch for yourself to take to work), Lisa’s lunch packing tips, both on her blog and in the book, are unparalleled. I recommend the book for anyone who cares about the kind of food they put into your body- whether you are a seasoned whole foodie or just beginning a real food journey. You can buy it on Amazon (it’s already a bestseller and has a five star rating!) or in your closest bookstore. 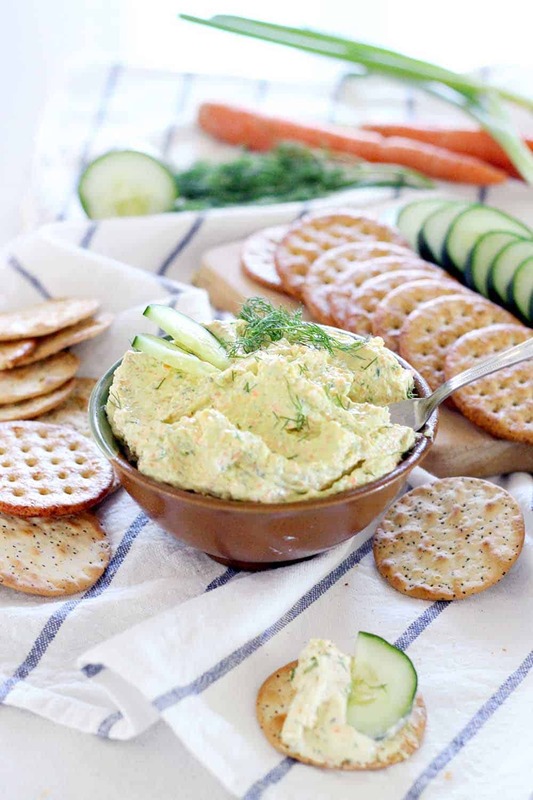 Now, let’s talk about this recipe for veggie cream cheese. It’s as easy as one, two, three. Literally: 1) put veggies and salt in a food processor, 2) pulse, 3) add cream cheese and mix to combine. I hereby declare that I will be making this as an appetizer for EVERY event I host henceforth. 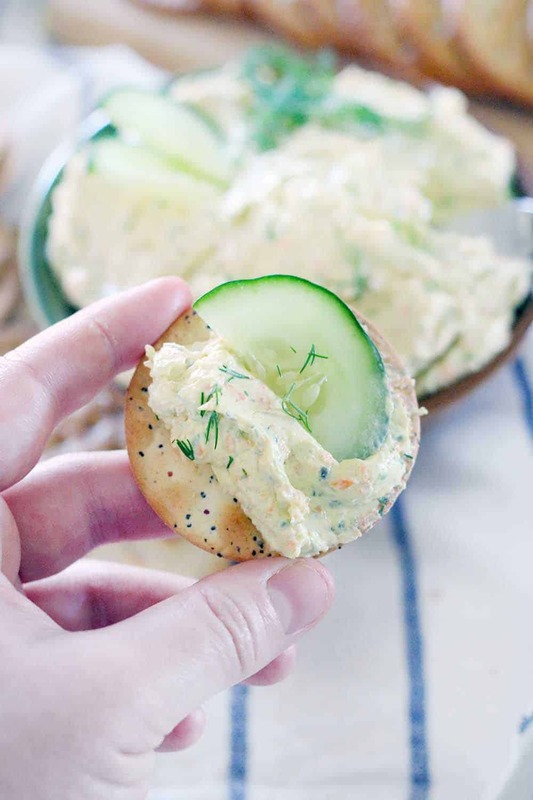 Not only is it great as a dip with crackers and veggies (I served it with the “fancy” grocery store crackers, along with baby carrots, broccoli florets, and cucumber slices for dipping), but it’s also great in cucumber sandwiches. Or on tiny toasts topped with smoked salmon. Or on a bagel. Or eaten with a spoon while you are trying your hardest to keep it intact so you can take photos of it for a blog post (oops). It’s SO versatile, simple, and delicious. Here’s your “to-do” list. It’s easy. 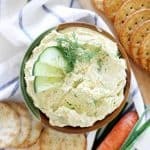 This veggie cream cheese is great as a dip for crackers or veggies, and equally amazing on sandwiches with cucumber slices as a light lunch or classy appetizer. It's gluten-free, vegetarian, and only takes a few minutes to make! Put all ingredients but the cream cheese in a food processor and pulse to combine until finely chopped. Add the cream cheese into the veggie mixture and pulse until well combined. Scrape down the sides of the bowl if needed. Serve immediately or store in the fridge for up to four days. 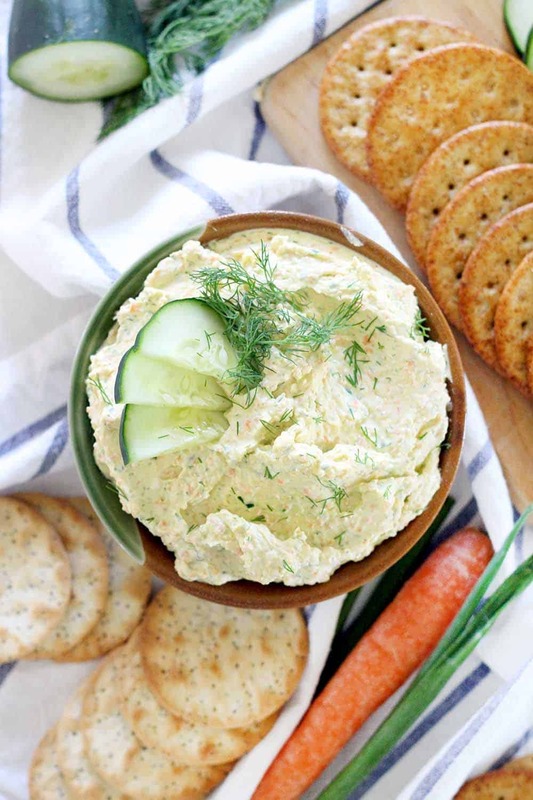 This is great served on crackers or with veggies as a dip, on cucumber sandwiches, or any other way you'd use cream cheese. * I scooped the seeds from the cucumber with a spoon so it would be less watery. If you use an English cucumber, you won't need to do this they have less water/seeds. Thanks for your real recipes. Food is the best first medicine!